I bought my first computer in 1992. In an age before Pentium or Core chips, my Compudyne 486SX boasted a blazing speed of 33 megahertz. I paid extra for a SoundBlaster audio card and a pair of cheap speakers. Windows 3.1 took a slow eternity to load. A small hard drive met my modest demands, and the modem’s speed marginally surpassed two tin cans connected by a string. We primarily employed the machine for word processing and children’s games. In 1965, Gordon Moore, co-founder of Intel, noted that that the number of transistors per square inch had doubled every year since the invention of the integrated circuit. He predicted this trend would continue for the foreseeable future. Today’s version of “Moore’s Law” states that computers will double in power every eighteen months. The consumer corollary is a computer’s original price will be halved in the same time period. Moore’s words proved prophetic. 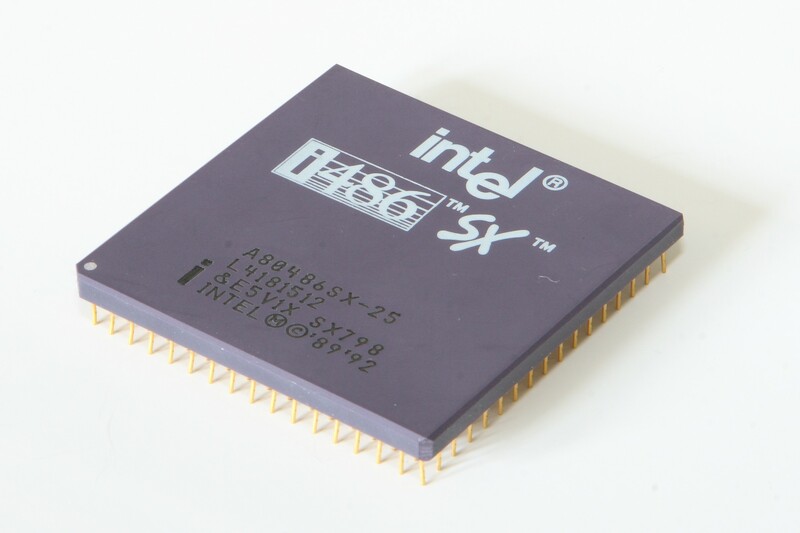 Over twenty years after my first foray into modern technology, my present home computer contains an Intel Core i3 chip with hyperthreading technology capable of speeds 3.4 gigahertz. CD and DVD burners have superseded the antiquated 3.5 inch drives. Sleek LCD screens take a fraction of the space required by their older, bulkier CRT siblings. Despite the technological advances, however, I still use our home computer mainly as a glorified typewriter and to surf the Internet. My generation did not grow up with computers. Modern technology still intimidates us. I employ a computer extensively at work; however, I remain technologically-challenged. Sooner or later, I know in my heart-of-hearts that pushing the wrong button will cause the computer to explode in my face. When problems occur with a computer, I feel helpless. Any glitch causes me to call the tech equivalent of 911. However, most consumer assistance has now gone on-line. Which leads to the chicken and egg question of how do I get assistance about going on-line if I can’t go on-line?!? Computers are akin to modern cars. Once upon a time an informed driver could pop the hood and fix whatever ailed the engine. Today’s chips and modules defy a layperson’s attempts at repair. Only trained personnel with the proper equipment can diagnose and solve a problem. However, the most common solution to computer problems is literally found at everyone’s fingertips. When a computer becomes neurotic, the first and best thing to do is turn the blessed thing OFF. Wait a few minutes and enjoy a cup of coffee. Then turn it back ON. The geek phrase for this procedure is called “REBOOTING.” For some reason known only to gremlins of technology and nerds with pocket-protectors, this simple solution will cure a surprising number of computer woes. Wouldn’t it be nice if life could be rebooted occasionally? Problems, anxieties, and worries would vanish with the push of a button. The past could be erased and a new future begun. Human beings are not computers, but God is in the business of new beginnings. The apostle Paul said those in Christ are new creations in which the old has passed away and the new has begun. The old problems don’t necessarily disappear; however, the Lord gives us fresh solutions and perspectives. 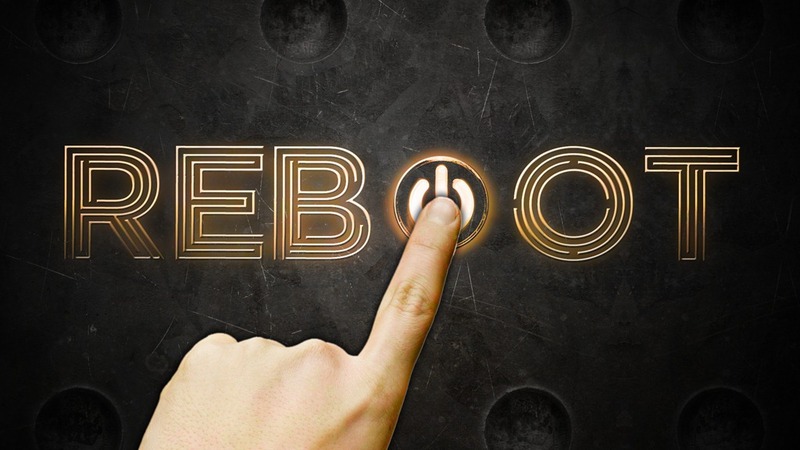 Allow God to reboot your life and begin anew today.